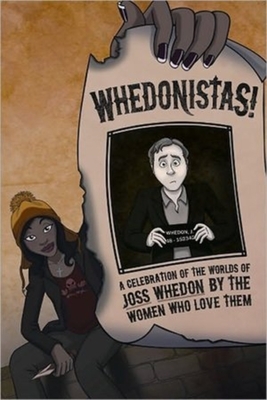 In Whedonistas, a host of award-winning female writers and fans come together to celebrate the works of Joss Whedon (Buffy the Vampire Slayer, Angel, Firefly, Dollhouse, Doctor Horrible's Sing-Along Blog). By discussing the impact of Whedon's work, their involvement with his shows' fandoms and why they adore the worlds he's created, these essayists aim to misbehave in Whedon's rich, fantastical worlds. Essay topics include Sharon Shinn (Samaria series) and Emma Bull (Territory) elaborating on the perfection of Firefly, Jeanne Stein (the Anna Strong Chronicles) revealing Buffy's influence on Anna Strong, and Nancy Holder (October Rain, The Watcher's Guide) relating on-the-set tales of Spike menacing her baby daughter while Riley made her hot chocolate.Other contributors include Seanan McGuire (October Daye series), Elizabeth Bear (Chill), Catherynne M. Valente (Palimpsest), Maria Lima (Blood Lines), Jackie Kessler (Black and White), Mariah Huehner (IDW Comics), Sarah Monette (Corambis), and Lyda Morehouse (AngeLINK Series). Also featured is an exclusive interview with television writer and producer Jane Espenson.